I walked into a store and there was Yanick, working. He was kind enough to step outside so I can photograph him. Yanick is from Montreal but has a strong connection with South America, his girlfriend is from Peru. 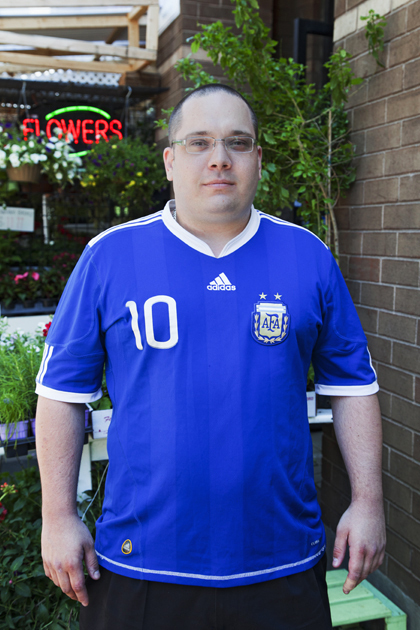 Along the way he befriended a few Argentinians and started following their national team. Our chat was brief since he had to go back to work and I needed to go and get some flowers.